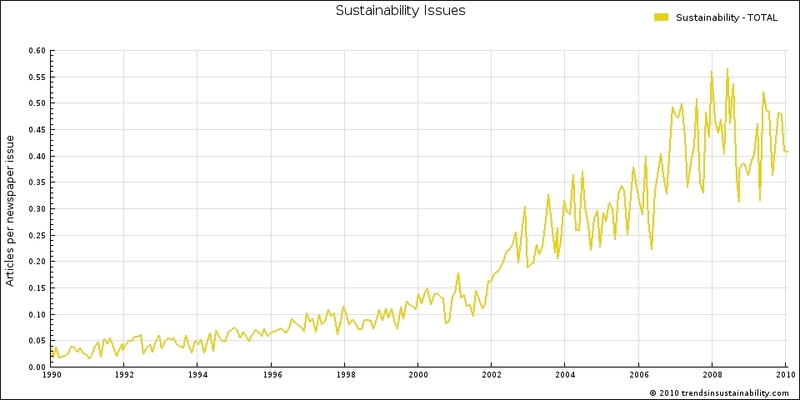 Charts, tables and data offer a visual perspective on interesting topics in international development, globalization, sustainability and world rankings. Most link to articles that appear elsewhere on the site. The BRIC countries‘ collective share of total world economic output rose from 16 to 22 percent from 2000 to 2008. Together, they accounted for 30 percent of the increase in global output. China alone comprised more than half of the BRIC contribution with greater than 15 percent of the growth in world economic output. The chart below compares key economic and development indicators for the BRIC countries, including GDP level and growth, merchandise exports and improvements in each country’s Human Development Index (HDI). For more, see the related post China’s Development Plans Lead World, BRICs. 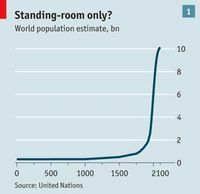 The world’s population has grown dramatically from 2.5 billion to nearly 7 billion people since 1950, as shown in the chart below from The Economist. While it took some 250 million years to reach 2.5 billion people, another 4.5 million people have joined the earth’s population in just the past 60 years. Two key demographic trends play a central role in the economic and social challenges confronting many economically advanced countries: 1) people living longer; and 2) less people being born. For more information from related articles, see the posts Life Expectancy, Fertility and Aging: Two Sides of Development, 150 Year Old Japanese In Abundance and French Say Non! to Change. For more information from related articles, see the post Analyzing Global Progress: Interpreting the 2010 UNDP Human Development Report and Index. In many European cities, a majority of residents choose the eco-friendly options of walking, bicycling or taking public transportation to work according to the Green City Index. In Stockholm and Amsterdam, an impressive 93 percent and 83 percent, respectively, of residents rely on one of these environmentally sustainable modes of transportation for commuting to work. Amsterdam’s ranking should come as little surprise to those familiar with its unofficial status as a world capital of bike riding. The table below shows the share of residents who choose eco-friendly commuting options for the top ranking cities in the European Green City Index and the U.S. and Canada Green City Index. The U.S. is the world’s second largest emitter of greenhouse gases behind China, and U.S. per capita emissions far exceed those of China. The popularity of cars and correspondingly limited scale of public transportation in the U.S. are noteworthy culprits. New York is the only city in the U.S. and Canada Green City Index where the share of residents who walk, bike or take public transportation to work comes close to those of cities in the European Green City Index. 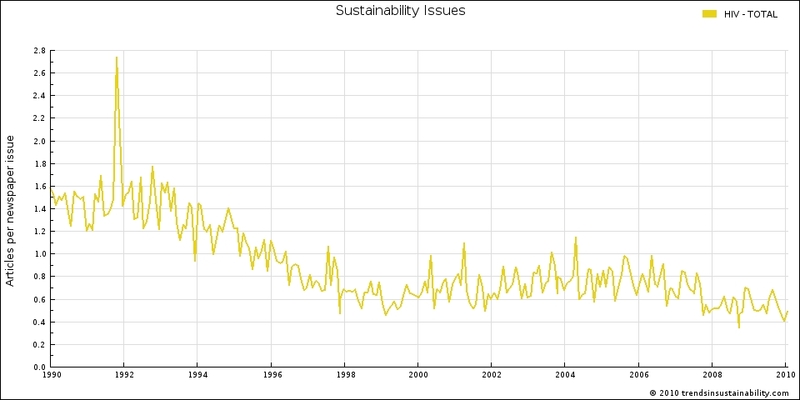 For more on the 2010 Environmental Performance Index, read the related post Scoring and Ranking the World’s Environmental Performance. 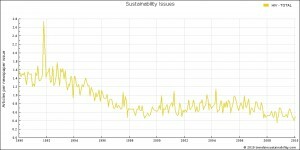 To learn more, read the related post News Trends in Sustainability, Development Issues. A new study called Seafood Print funded by the Pew Charitable Trusts and National Geographic challenges the sustainability of the world’s seafood consumption. Using data from the study, Global Sherpa calculated the annual per capita consumption for the biggest seafood eaters. Chileans and Japanese consume more than 150 pounds of fish per person annually. Taiwan, South Korea, and Malaysia aren’t too far behind at 144, 124, and 118 pounds, respectively. For more information from related articles, see the posts What’s For Dinner – Sushi or Fish Sticks? and Diabetes, Obesity Linked to Fish Diet, Development. 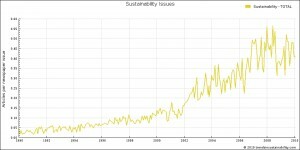 See the related post World Bike Market, Eco Indicators and Development for a more detailed analysis. Check out the companion article Amsterdam: Bike Riding Capital of the World for more on bike-friendly cities and urban plans that are good for the environment. Source: OECD Factbook 2010. For more information from related articles, see the post 150 Year Old Japanese in Abundance. The trend in newspaper coverage of the HIV issue seems to relate more to editorial decisions than a decrease in HIV cases around the world. Data from the World Bank’s Health, Nutrition and Population Statistics database show the prevalence of HIV as a percentage of the total world population ages 15-49 increasing from 0.37 to 0.9 percent during the period 1990-2007.